Noun: the process or a period of changing from one state or condition to another. synonums: change, passage, move, transformation, metamorphosis, alteration, etc. Painting material and a painting are things that are static, they are not things in transition. While they are the “before” and the “after”, they are certainly not the inspirational part, that is “the during”. As it is said, Life is a journey, not a destination. Go to the Ringling, the Louvre, the Tate or the Prado and you will see great paintings – go to Art and Frame of Sarasota or Home Depot and you may find great paint – but at none of those places will you find much about the metamorphosis from one to the other. 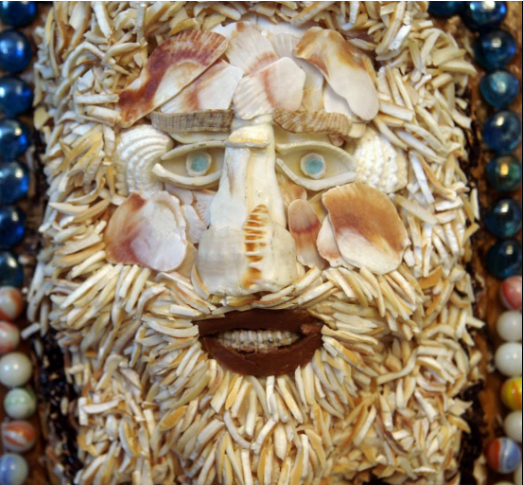 In Sarasota, from 11 a.m. to 4 p.m., on the first Saturday of each month, from January through April, one (and all) will be able to visit with local artists to discuss how they focus on what they do. You will be able to, in their individual studios, ask them about “their” process; and that will surely be different from artist to artist. That is to say, from Jorge Blanco to Bill Buchman to Duncan Chamberlain to Elena De La Ville to Jack Dowd to Tim Jaeger to Joseph Malacon to Tom Stephens to Vicky Randell and to Dasha Reich. These are very serious mature artists who have been around the block, and who will be able to communicate the hows and whys of their art. These internationally recognized artists live here amongst us – we should not only know who these treasures are, but why they are valued for their work. And now, through the Open Studio Series of Sarasota Visual Artists Studios we can visit with them. With ten artists to choose from, over four 1st Saturdays, you will be able to do survey skimming or in-depth repeated visits to gain an insight to their insights. Dasha Reich, one of these artists, will have an exhibition at Art Center Sarasota (707 N. Tamiami Trail) from February 2nd through March 10th. Ms. Reich started with scenic pencil drawings around the age of 14 and then, after moving to the US, switched to fabric design (Liz Claiborne, among others). Speaking of transition, her current work became more and more three dimensional as she interlaced layers of resin with pure pigments. 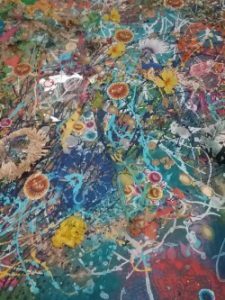 At the Art Center there will be a number of her resin pieces but also more experimental work where, instead of going deeper within layers, the art bursts forth in the opposite direction. Why did she change direction, use different masking techniques (and what did that lead to), why do the colors shift as they do? Why, why, why and how, how, how? Ask her, in her studio, on one of these upcoming first Saturdays. Find more information on these artists and the location of their studios at Sarasotavisualart.com. Some (not me) say the Metropolitan Museum of Art is a stuffy place stuffed full of stuffy stuff. That statement is a tad strong, but even I must admit that some of what is on display there is just a bit … “stuffy”. However, that is not a word one can use relative to the Marietta Museum of Art and Whimsy or the art on display there. And certainly not to characterize the founder, owner and curator, Marietta Lee. Playful, happy and fanciful are more in keeping with her demeanor and everything within and around the museum. For starters, the building itself is a pink and turquoise architectural statement in the Mediterranean style. For years it housed a design center for high couture wearable art and then became a Buddhist meditation facility. Attributes of both those endeavors seem to have carried forward to today’s contents: exotic art with a relaxing air. The entrance area is quite open and both it and the volunteer staff are very welcoming. Display rooms go off in both directions and contain a super-abundance of friendly images. Cats? Yes, there are cats. And dogs, and fairies, and laughing fish, and every kind of painting or ceramic thing that will bring a smile to your face. How to describe an entire museum’s collection? Impossible. How to describe one painting? That too can be difficult. How about a painting of a crazy man? Talk about the color, strangely formed face, the wild gleam in his eyes? Or simply say that he is pale and made of seashells with rows of marbles just beyond his reach? Yes, this is a portrait of a man, by Carl Mayle, who has obviously lost all his marbles. Next move out to the patio where the Sky Monkeys live. And the larger-than-life pink ballerina who dances for all the creatures hiding in the bushes. Seeing all this can be quite exhilarating, rather than tiring, but why not take a break in the lovely enclosed gazebo, and have a coffee or soft drink in a relaxing environment. In February the director of the Backus museum will be giving a lecture on those famous Florida artists, the Highwaymen. Oh! Forgot to mention that there is an entire whimsical sculpture garden on the next block north filled with giraffes, sea horses and the obligatory flamingos. Same owner, the suggested donation covers both, and the same whimsical charm pervades this addition to the museum. Visit the museum and garden from noon till 4 p.m., Thursdays thru Saturdays until May 27th at 2121 N. Tamiami Trail, Sarasota. You may want to put away your Christmas CDs for another 11 months, but please keep the holiday spirit and your love of spirited music. The first place to go for some good vibes is Jazz at First Church. The Tommy Goodman Trio (with a guest artist) plays there one Sunday each month. Tommy has been playing at the Burns Court Cafe but moves on to the chapel at First Church each year during “the season”. He and his sidemen (Tommy on piano, Dominic Mancini on bass, Johnny Moore on drums) play two sets; one at 4:00 p.m. and the second at 5:30 p.m. If you’re going out for dinner there is nothing like setting the scene with some good melodies before going on to some early bird specials. While all the trio’s sessions are recommended you may wish to know that Steve Martinucci will be joining them on guitar on January 8th, Davy Jones on trumpet on February 8th, Dave Morgan on vibes on March 12th and Bill Carmichael on sax and clarinet on April 9th. While Jazz at First Church is an institution, their Fine Arts Series, held in the sanctuary, is also a musical favorite. Lang Lang, Diana Krall, and Billy Joel are Steinway artists. As were Cole Porter, Sergi Rachmaninoff and Arthur Rubinstein. The latter are dead and the former aren’t coming to First Church either, but another Steinway artist is. 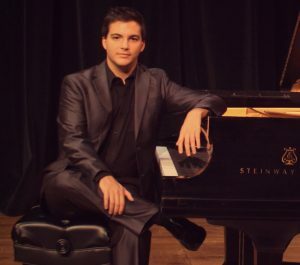 Andrew Lapp (Steinway artist since 2013) will be playing at 7:00 p.m. on January 15th. His sacred and gospel interpretations have been featured nationally. First Church is located at 104 S. Pineapple Avenue. More at firstsrq.com/music/fine-arts-series/.